I just saw this over at instructables.com! Build a gingerbread house, and enter it in our Gingerbread House Slideshow Contest to win Instructables Pro memberships and Robot t-shirt gift packs! Make a gingerbread house (a joint effort with friends or family is fine) and submit a slideshow with at least three pictures of your awesome creation. 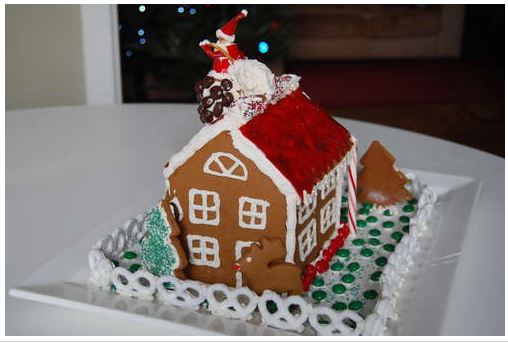 Include at least one overview and one detail shot of the finished gingerbread house – in-progress pictures are optional. So we all know that it’s your gingerbread house, at least one of the pictures must include something with your username written on it!